Sr. Pastor Ralph Godfrey Jr.
Pastor Ralph Godfrey, Jr. is an international speaker whose deliverance of the Word of God continues to fortify many churches and believers around the world. Along with his humor, charismatic teaching and bold presentation of the Gospel of Christ, Pastor Ralph has caused people to rethink their position in the Kingdom of God. Pastor Ralph has worked several years as co-Pastor alongside his father and has now taken the baton as senior pastor. He continues to build on the foundation laid by the founders and leaders of New Life Temple Church with great diligence. 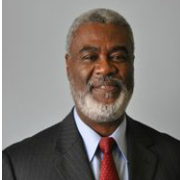 Pastor Ralph has expanded the educational component of New Life Temple Church originally established by his father Ralph Sr., through the enhancement of the accredited New Life Temple Bible College where he serves as the Director, an instructor and board member. In his desire to cultivate each saint’s God-given leadership ability, in 2009, he implemented the Leadership Institute to train and equip people for the work of the Kingdom. Through his travels internationally, New Life Temple Bible College and the Leadership Institute is now hosted by churches in parts of Africa and previously the Caribbean. Presently, Pastor Ralph ministers with his wife in building and encouraging marriage couples to walk in the destiny ordained for them by God. They also conduct seminars, camps and retreats for leaders, women, and couples helping them to refresh, renew and re-energize their call and ministry in the Kingdom of God. 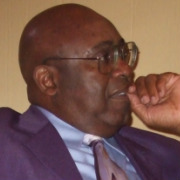 Pastor Godfrey walked out his God-ordained destiny through evangelizing and pastoring for over forty years. He was devoted to restoring the lives of many broken people; wherefore, fulfilling the prophetic mandate placed on him by God as “Repairer of the Breach”. Internationally, he was known for his teaching and shepherding of global leaders as well as his great partnership and support for missions with several churches worldwide. His godly character and sound advice established him among many as a Pastor of pastors. This generation was honored to know such a man. 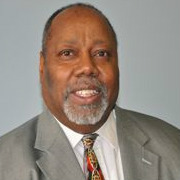 Pastor David Brown Jr., M. Th. is an Associate Pastor at New Life Temple Church. He accepted the Lord and Jesus Christ as his savior at the age of twelve and called into the ministry at the age of eighteen. Once he decided to serve the Lord, he never looked back. Prior to coming into full time ministry, Pastor Brown was employed by Nutone, Inc. Because of his passion for people, excellent communication skills and his ability to lead others, he was promoted to management. 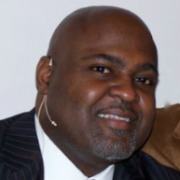 Pastor Brown has served in various capacities at New Life Temple Church including Elder, Youth Pastor, School Principle, Bible College Instructor, Care Group Pastor, Elder Board Member and Counselor. He currently oversees the Christian Education Department of New Life Temple which includes Sunday school and the New Life Temple Solid Rock Foundational Classes where he designs training curricular and workbooks. Pastor Brown enjoys counseling couples who are dating as well as those preparing for marriage. Over the past forty years, he has provided biblically based training and one-on-one dating counseling for Christian singles. Like David in the Bible, Pastor Brown is a “Man after God’s own heart.” He enjoys working in the ministry and serving people. He has served on different projects throughout the Madisonville community. Pastor Brown has ministered at a variety of conferences, churches and bible colleges throughout the United States, as well as India and Africa. Pastor Brown is the husband of Linda F. Brown who assists him in the ministry. They have two children David W. Brown and Kimberly Busch, and seven lovely grandchildren. Pastor Hurshel Davis accepted Jesus Christ as his Lord and Savior at the age of twenty-one. As he grew in wisdom and stature, he received the call to preach the Gospel, operating in the gifts of healing and deliverance. He is known as a man of integrity with a strong commitment to his church, family and the Kingdom of God. Pastor Davis is one of the Associate Pastor’s and Elders at New Life Temple Church. He has faithfully served as the Overseer in the areas of: Men’s Ministry, Hospitality Ministry, Intercessory Prayer Ministry, Singles’ Ministry, Share and Care Ministry, Security Ministry and the Three Point Missions’ Ministry. He has also trained instructors and counselors for the Solid Rock Foundational Classes, and he was instrumental in providing training to other churches. Understanding how God equips leaders with Spiritual Gifts and how to stand in the office that He calls us. Understanding the Person of the Holy Spirit. Learning how the Holy Spirit brings revelation, visitation and impartation through worship and intercession. Pastor Davis believes that God intended for Christians to have a prosperous lifestyle that exemplifies their close relationship with the Father and through intimacy and worship, God is restoring the gifts of the Holy Spirit back to the local church. Celebrating over forty years of ministry he and his wife, Lucille are the proud parents of three sons: Troy, Matthew, and Mark; daughter, Jennifer, and five grandchildren. 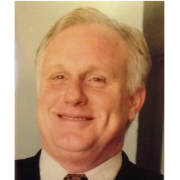 Pastor Tom first began attending New Life Temple with his wife, Lucy Katenkamp, in 1985. First brought into the ministry as deacons in 1989 they were ordained as full time Evangelists in 2000. Pastor Tom has a heart for equipping the saints to fulfill their call and ministries. His heart’s cry is for the hurting and broken that they might come to the knowledge of Christ and to experience God&apos;s restoration. He is also a major contributor to building New Life Temple Bible College, Youth and Children&apos;s Ministries, Madisonville Streetfest, Celebrate Recovery, Solid Rock , Promise Keepers, Radio Broadcasts: Kingdom Building and Practical Christian Living, John Maxwell simulcast events and much more. Tom and Lucy are the proud parents of 4 adult children Stephen, Ben, John-Philip and Joy.